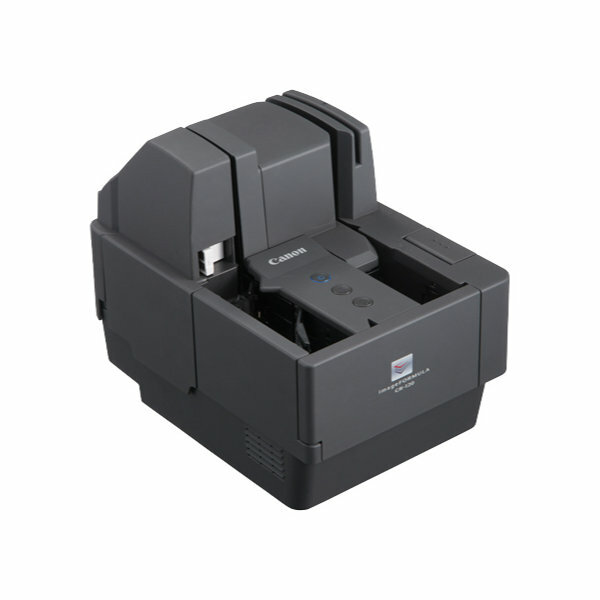 Canon imageFORMULA CR-120 — C&A Associates, Inc.
as back-office/branch settings, and lockbox applications. It enables users—in environments such as banks, credit unions, and retail—to improve their point-of-presentment applications by helping to automate funds deposits for quicker transaction times, decrease errors and fraud, improve customer service, and lower capital and processing costs. teller station into one single device, thereby reducing counter space requirements and helping to improve efficiency. range of document types, such as business and personal checks. It also includes a built-in ultrasonic sensor to help prevent misfeeds. To handle these, the cover of the CR-120 check transport can be opened, which also allows users access to the scanning glass and feed rollers for routine maintenance.